Dry Erase Photo Booth Prop -the perfect addition to your photo booth! Even better - you get to choose the background color! 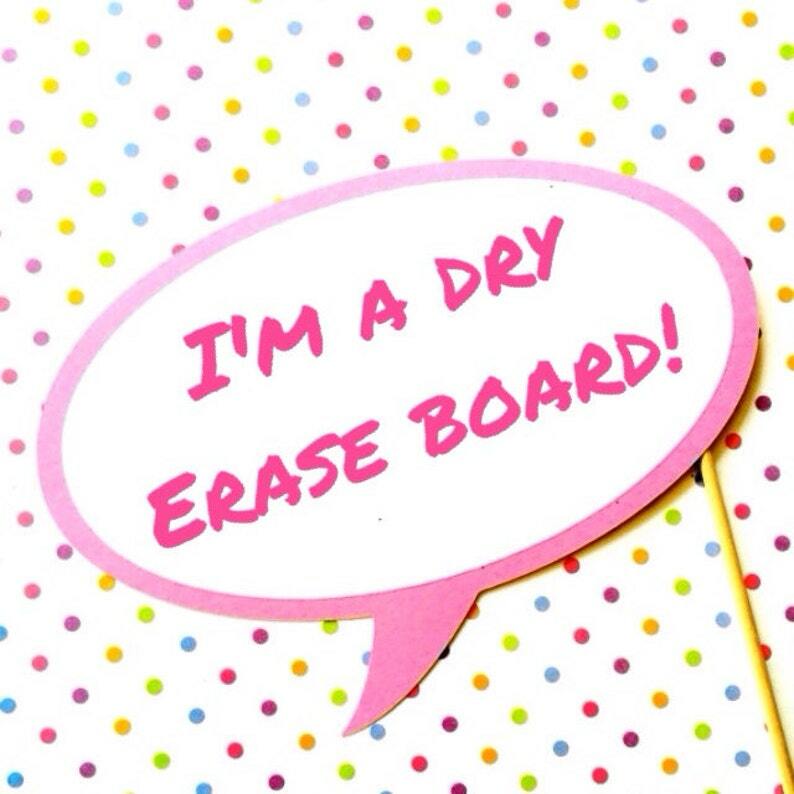 These dry erase props come blank so that you can write your favorite sayings and quotes on them! Just wipe them clean and re-write again! We have been featured in US WEEKLY MAGAZINE, IN TOUCH MAGAZINE, PERFECT WEDDINGS MAGAZINE as well as a variety of blogs and websites including SWANKY CHIC FETE, BRIDEFINDS, and PRETTYLITTLEWEDDINGS.COM!